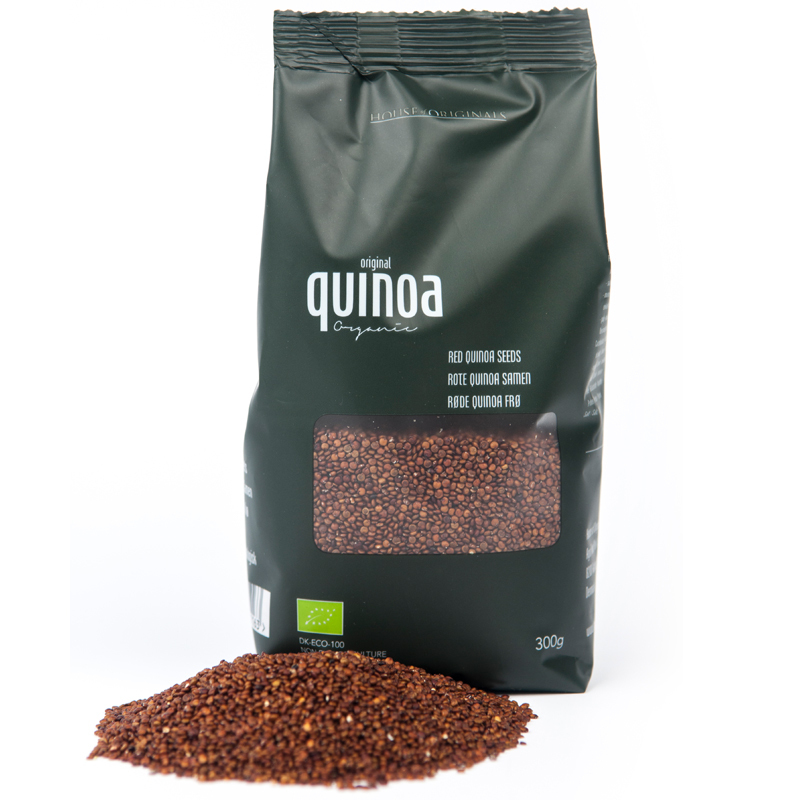 Organic red quinoa seeds from Peru in a stylish pouch with window. Quinoa is becoming a popular superfood and alternative to rice or pasta, or to power up the salat. Quinoa contains all 9 essential amino acids and is high on anti oxidants and protein.